UK korfball is regulated by three national governing bodies- the English, Welsh and Scottish Korfball Associations. There is a separate governing body for University teams throughout the UK. 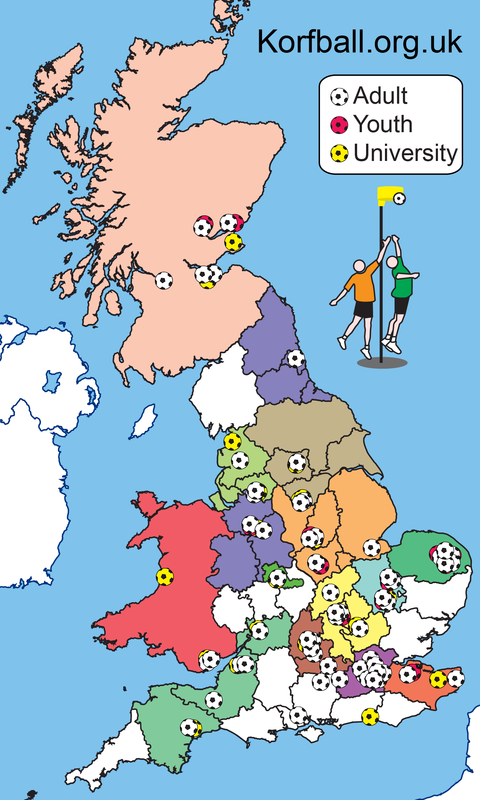 Clubs are spread all around the UK, and organised into 15 area associations. Click on the map below to find the clubs that are nearest to you. or to add or update an existing club’s records, just click here.